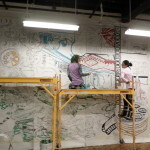 Here is a sneak peak of the Greenpoint Chamber’s Community Mural. 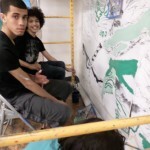 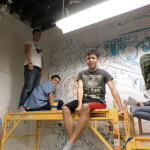 WHSAD, the Greenpoint Youth Court, and Groundswell have been working hard to get this mural up and ready. 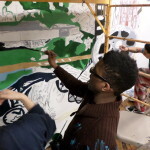 Roux Associates and GPCC Members Broadway Stages, CitiStorage, ExxonMobil, and Two Trees Realty are sponsoring a “Welcome to Greenpoint” mural designed by community youth! 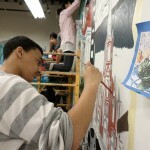 Dedication Ceremony is May 7th.